Last updated 28 September 2018 . By Olivia Cheves. 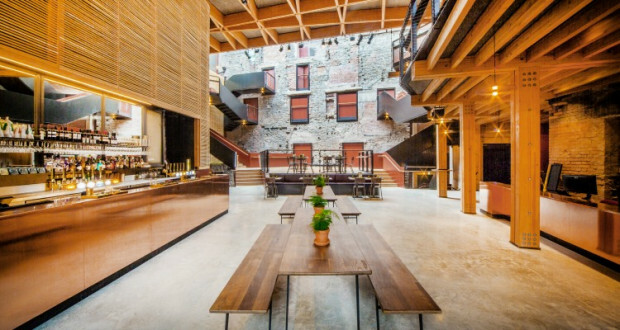 Part of the Bristol Old Vic's impressive redevelopment, this gorgeous bar and eatery is set to be the theatre scene's new social hub. Boasting bright and spacious interiors, it's the food here that's the real draw. With a menu designed by head chef Coco Barone the dishes aim at seasonality and sociability. From their hearty breakfast offerings, including fried halloumi and avocado on chargrilled tumeric and chilli bread and fresh-pressed waffles, to their slap-up Sunday roast, it's got you covered for great eats and tasty treats. The bar too offers a stunning selection of drinks. From craft beers and a range of fine wines, you can also take your pick from their great list of cocktails, or just settle down for an invigorating mid-morning coffee.